I think it's pretty evident that my basic style is "traditional". That doesn't mean that I don't like a lot of other styles mixed in too. to be a little more up to date and trendy. Accessories can change the look of any room. How about you, how do you keep your home updated? Contemporary Traditional for the win! Love all the pillows Marty. LOVE your style! 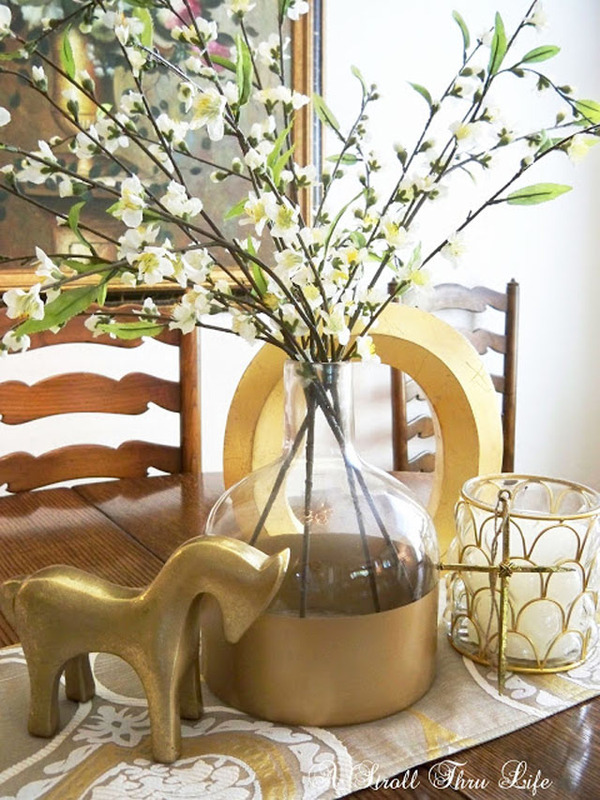 I have lots of traditional furniture and am getting loads of inspiration from your blog to help me incorporate more current accessories! I love traditional too but you rock it with trendy accessories, Marty! I absolutely love your style, Marty! 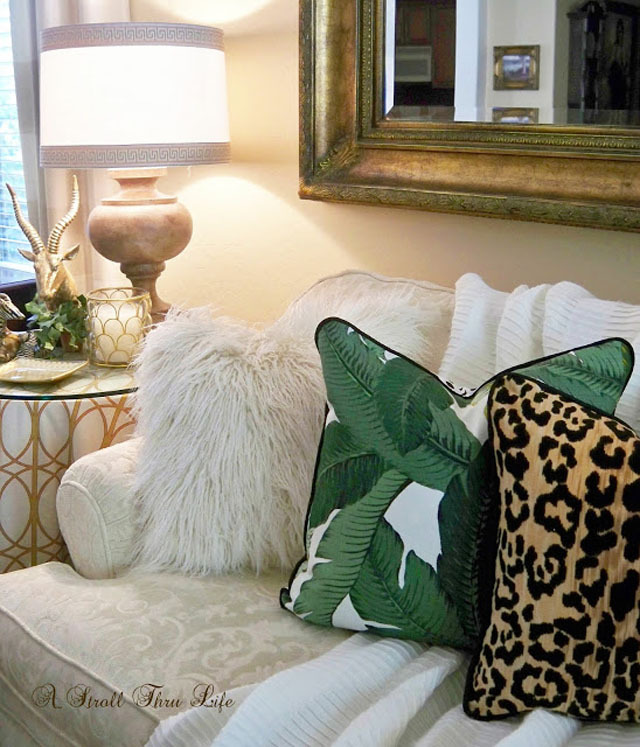 You have such a knack for mixing the warmth of traditional with trendy - your home looks so inviting and comfy, and the pops of color are so fun. I'm kind of stuck in neutral mode with my decor at the moment, and you're giving me the courage to step outside my comfort zone. Thanks so much! 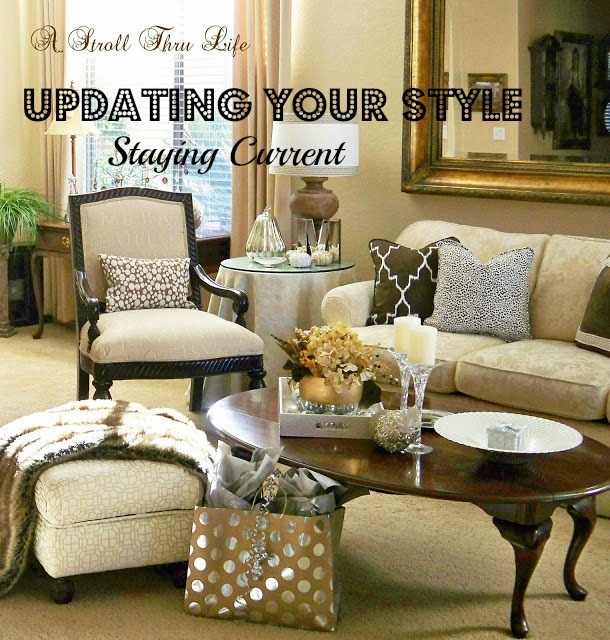 I'm not sure I can say that my home stays updated as much as I try to keep it maintained. In the last six years, I replaced the microwave, dishwasher, garbage disposal, hot water heater, the upstairs heat pump/AC, all of the skylights, sidewalks, damaged siding, and the stovetop. Currently, all of the decks are being replaced. That hasn't left much in the budget for decor items, but I have painted baseboards, moved around decor, added a new mirror over the living room fireplace, recovered the breakfast room chairs, recovered the sofa, recovered a living room side chair, added a few new pillows, and replaced my master bath mirror with one from my mother's house. 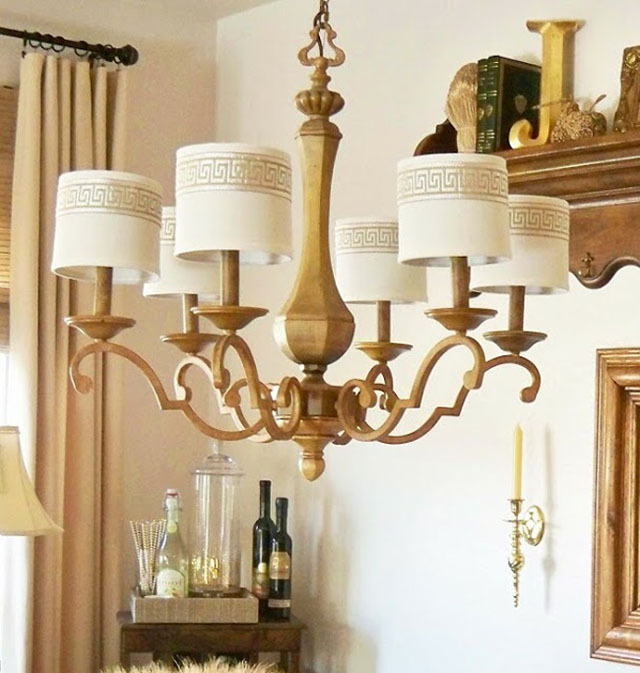 With every change, I looked at ways to add a French country feel. 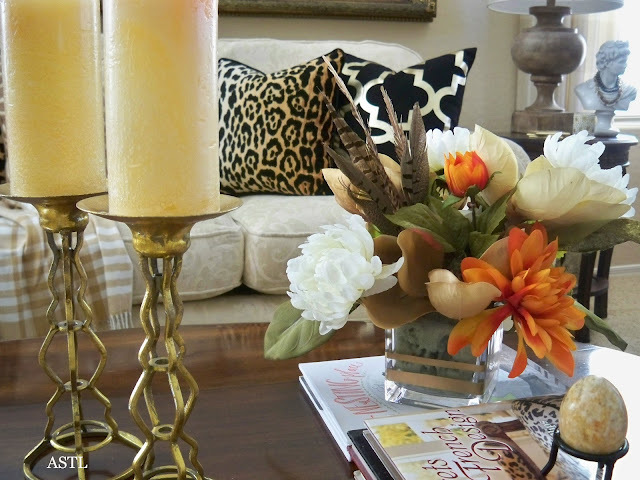 Love your mixing of traditional with some whimsy and fun patterns. Soo pretty. Marty your home always looks fabulous!! 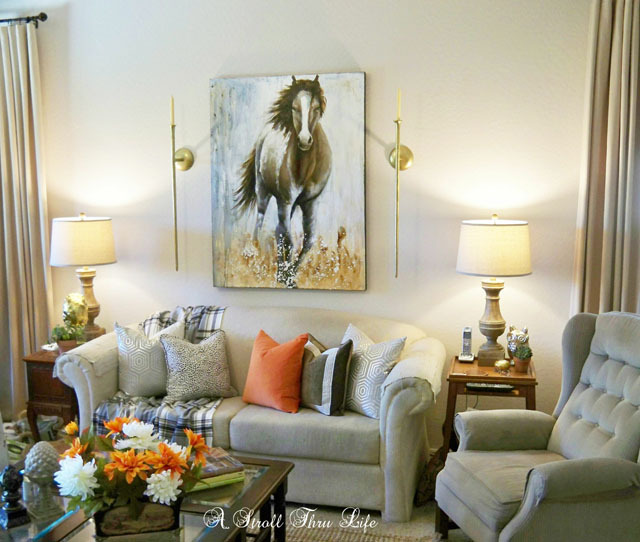 Traditional with Contemporary touches...LOVE the sconces you added next to your horse painting!! Love your style, Miss Marty! You keep things looking fresh without following a trend. I have been in homes that were very expensive and expensively decorated but were very messy and actually dirty. 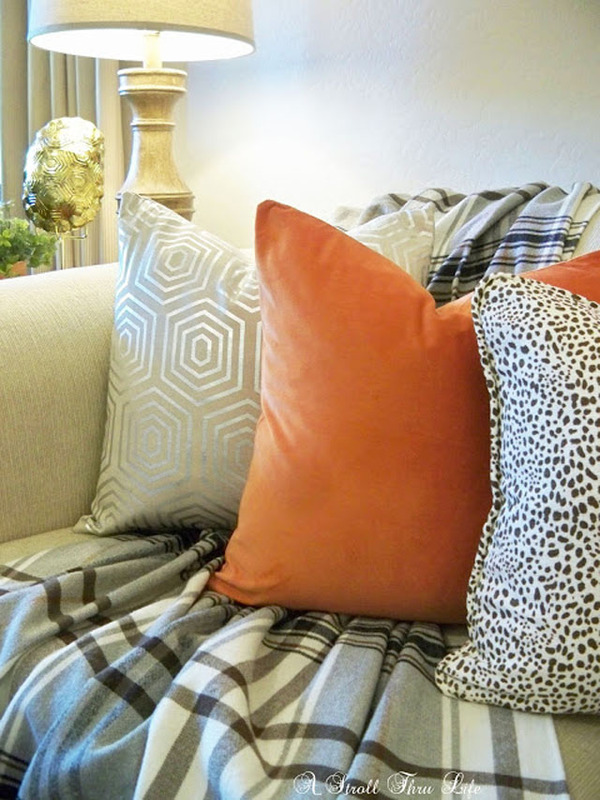 Your home always looks immaculate without being cold and stiff. 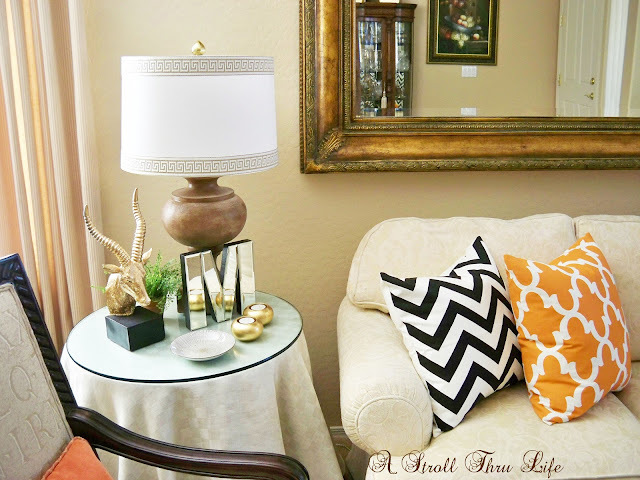 Love how you change the look of the room and add a chic but different vibe each time. It's all very beautiful Marty! But must tell you its hard to read your post for me, too many Ads. I dont know, maybe its my computer?? Have a great day. I love your style, Marty! I'm a traditional too, sometimes I mix my traditional decor with contemporary elements, other times I go towards the farmhouse look. It's always fun to change the look a bit. Oh, how I wish we had a Home Goods or an IKEA. We would have to go to Dallas to an IKEA! You find the best stuff at Goodwill! Your horse art is beautiful and I love your shades. I love how your willing to mix in with your Traditional style Marty, and the thing is, no matter the style, YOU MAKE IT WORK! I love your tradtional style! I especially love your sofa! 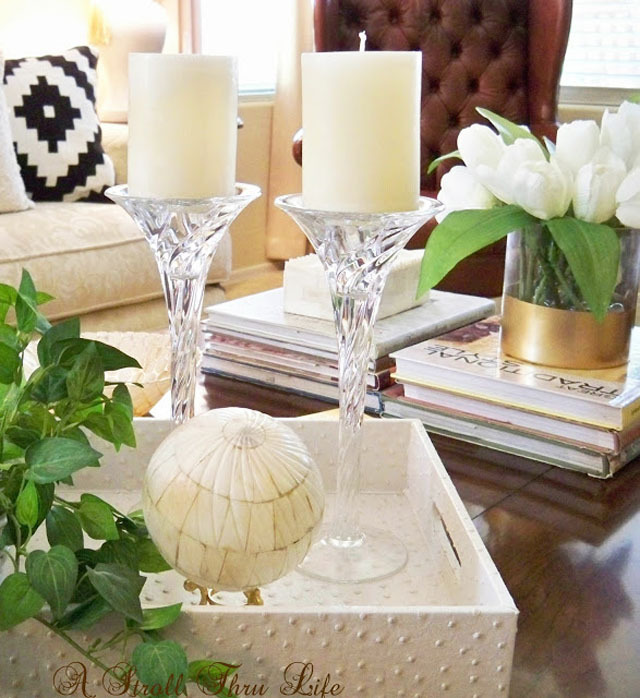 I would love white furniture but not in my house! LOL! It would be dirty everyday. Maybe someday but not now. I love Hobby Lobby too! Your home is just beautiful! I adore your fabrics and I am wishing to have your talent when I grow up (LoL). Happy day and a wonderful week ahead. Your home is lovely, dear friend!!! but I adore how you step out with a "touch" of current and trendy!!! A gorgeous blend of accessories with Traditional furnishings!!! Marty, with this post you hit the nail on the head. I've been coming to your blog for months and admiring your gorgeous rooms, without quite being sure what it was that made them so special, Well now you have explained it for us. Thanks so much for taking the time to show us this neat idea. I love and admire your style, Marty. You put it all together so attractively! I have too many years invested in the look of country and heirloom pieces to change my decor, now! I will always enjoy "ooohing" over your decor!